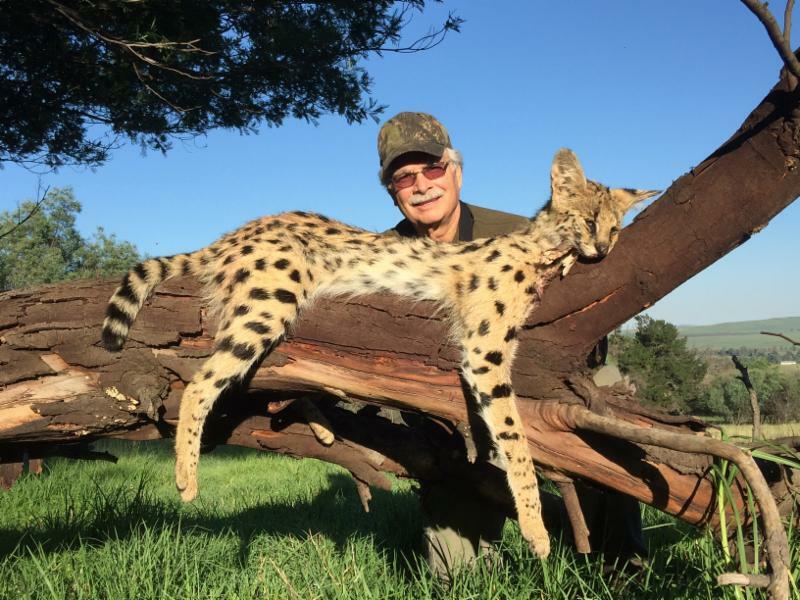 Our outfitter in South Africa has two dog teams and decades of experience in running cats up trees in the mornings, hunting plains game conventionally during the day, and hunting the nocturnal species at night. 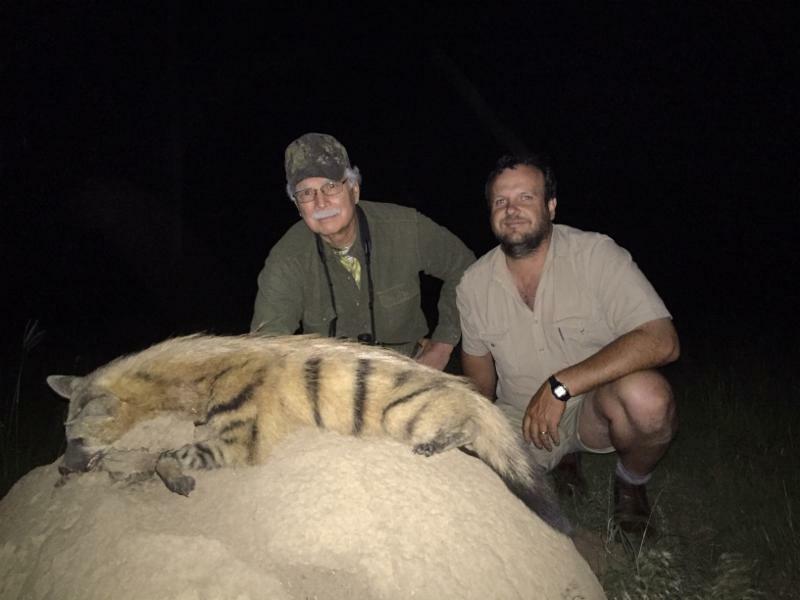 Ken Wilson just returned from a 6-day safari to experience the hunt for Shunneson & Wilson Adventures. 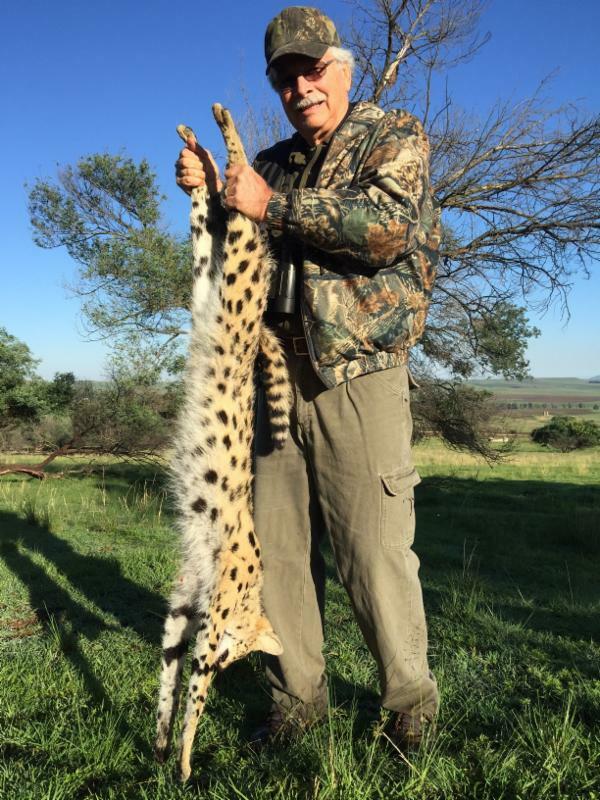 His goal was to shoot a Serval (which he had never seen on 21 safaris). 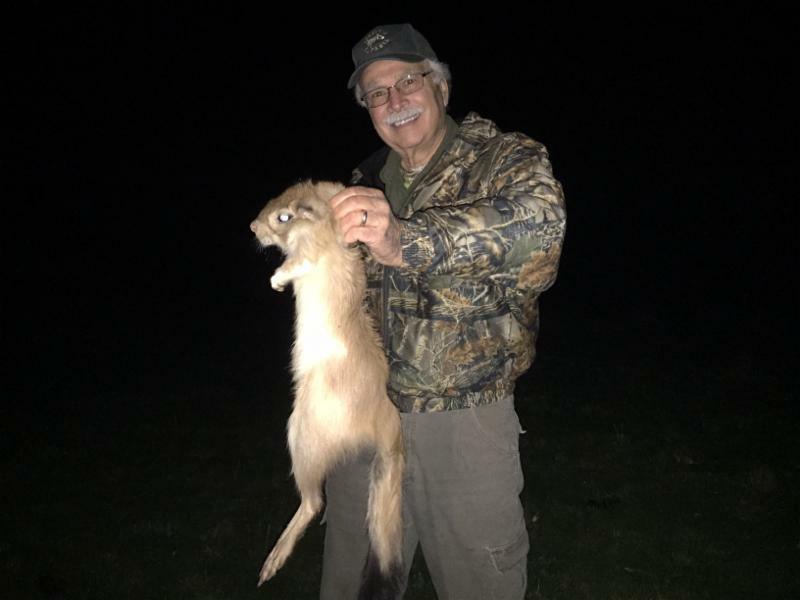 With that goal achieved on day one, and since he had already shot a Caracal and Civet, Ken turned to the Small Game available. The Aardwolf is a beautiful little animal with vertical stripes. 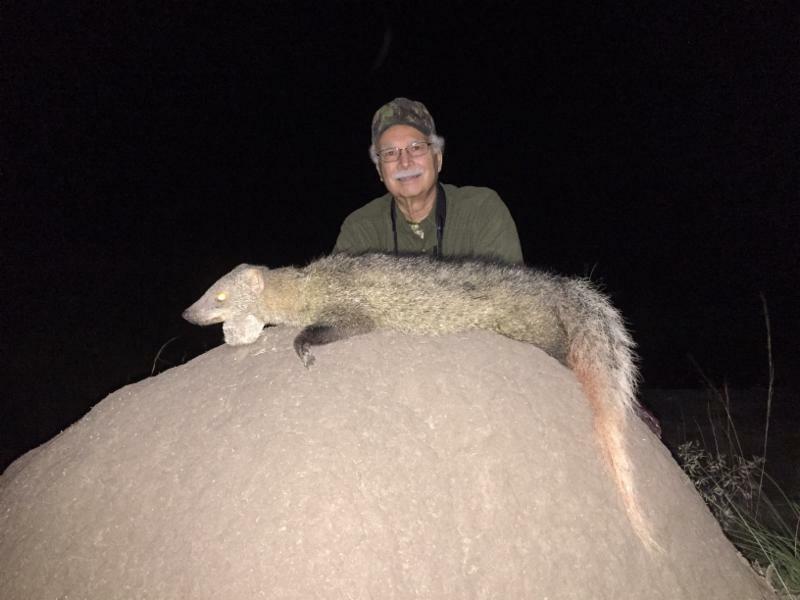 It feeds on termites, so Ken hunted his on a "farm" that was loaded with hundreds of termite mounds. Later he added a huge Porcupine. So now what? The White-Tailed Mongoose is the largest of that species, and the Spring Hare is one of the smallest species to be hunted in Africa. 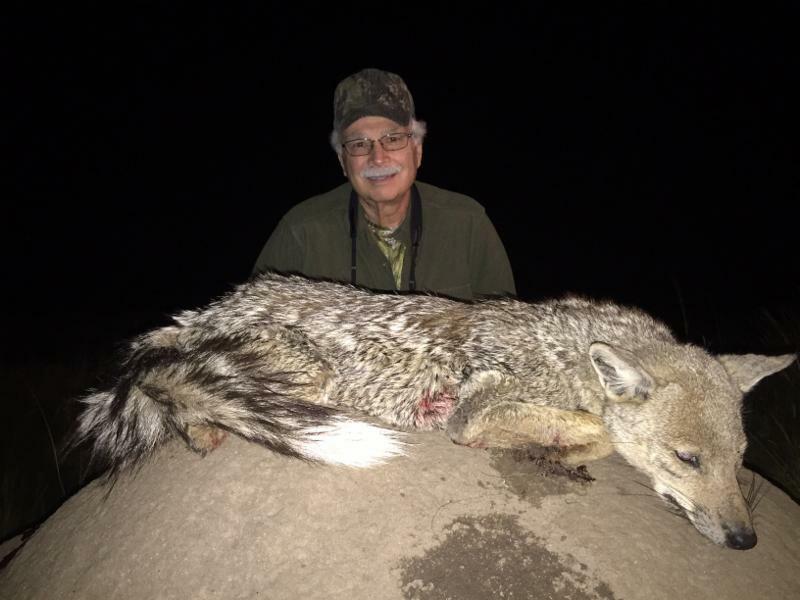 With days left, Ken was lucky to find a Side-Striped Jackal that he had not shot before. 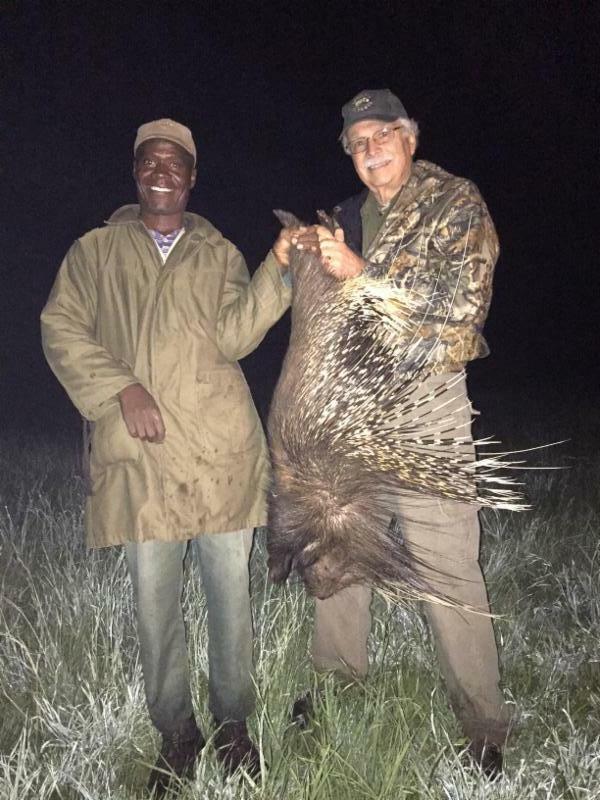 And he concluded his short safari by looking for and finding a Steenbuck with horns much larger than the one he had shot 25 years before. 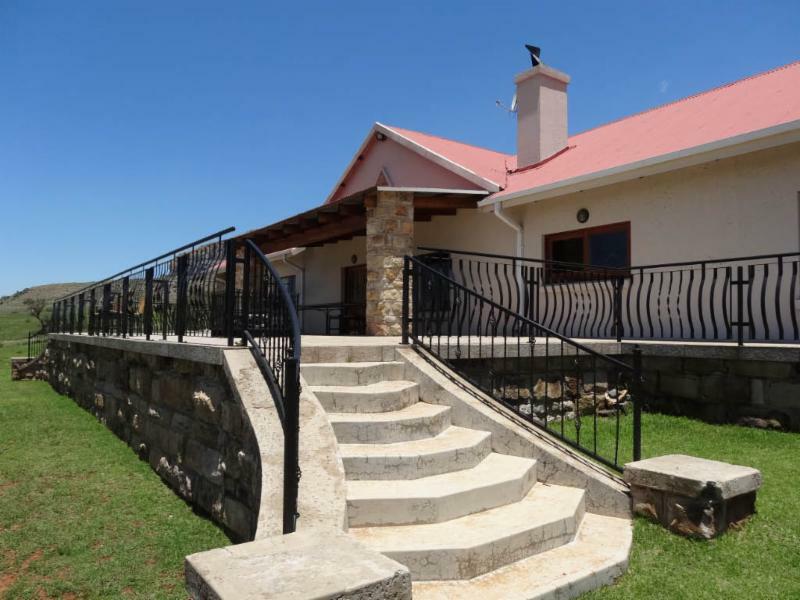 Not only is the hunting great, but so are the accommodations. Other Small Cats: Wild Cat. 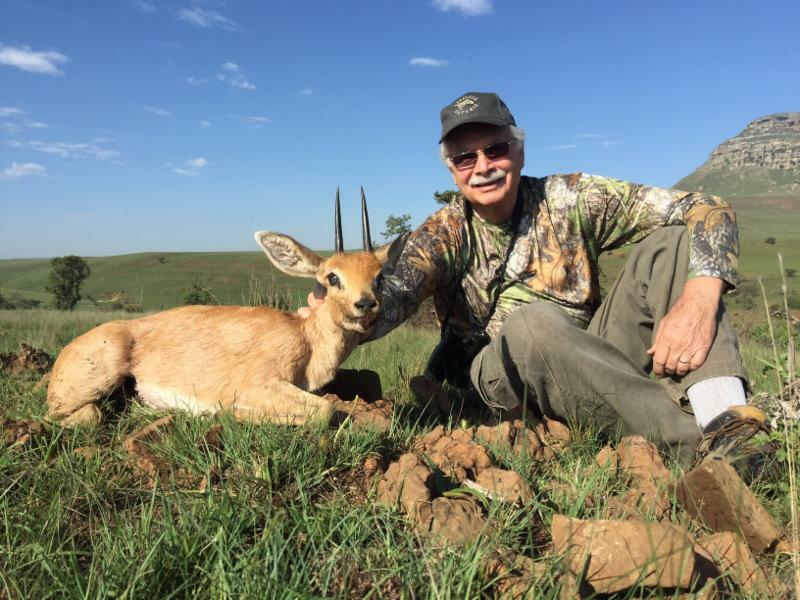 Other Pygmy Antelope: Suni, Blue Duiker, Red Duiker, So. Bush Duiker, Sharpe's Grysbok, Oribi, Klipspringer. Other Small Game: Honey Badger, Bat-Eared Fox, Genet. 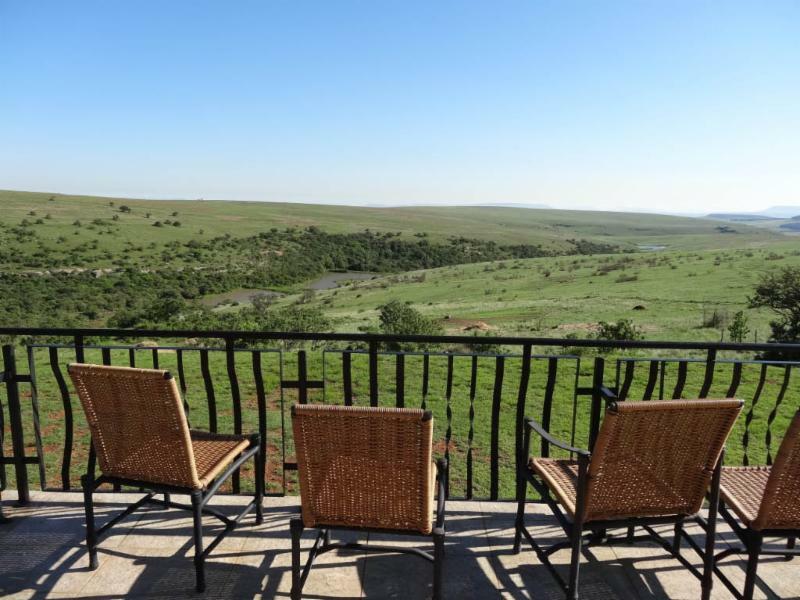 Big Game: Nyala, Spotted Hyena, Gemsbok, Kudu, Giraffe, Common Waterbuck, Burchell's Zebra, Hartmann's Mountain Zebra, Cape Eland, Barbary Sheep, Red Hartebeest, Tsessebe, Black Wildebeest, Blue Wildebeest, Red Lechwe, Southern Impala, Blesbuck, White Blesbuck, Limpopo Bushbuck, Cape Bushbuck, Springbok (Common, White, Black, Copper), Mountain Reedbuck, Common Reedbuck, Vaal Rhebok, Fallow Deer, and many others.